On the 4-hour chart, the pair is trading in the lower Bollinger band. The price remains just below its moving averages that start turning down. The RSI keeps testing from below its longer MA. The Composite is about to test its longer MA as well. On the daily chart, the pair is trading in the lower Bollinger band. The price remains slightly above the EMA65, EMA130 and SMA200 that are directed up. The RSI is falling, having failed its longer MA. The Composite is testing from below its longer MA. 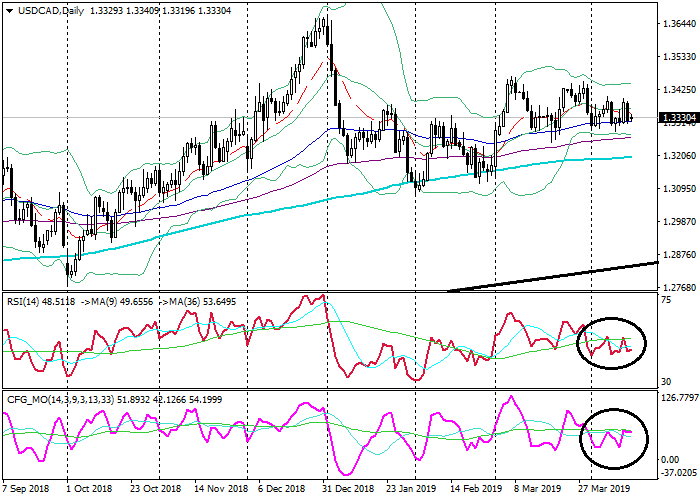 Support levels: 1.3285 (local lows), 1.3170 (local lows), 1.3120 (March 2018 highs). Resistance levels: 1.3400 (local highs), 1.3450 (local highs), 1.3570 (local highs). The price keeps testing quite strong support near 1.3285. Its breakdown would lead to a fall continuation. 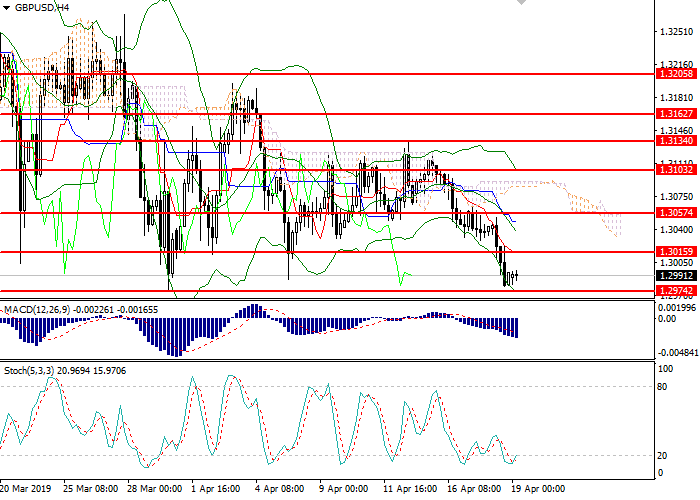 Short positions can be opened from the level of 1.3285 with targets at 1.3170, 1.3120 and stop-loss at 1.3330. Validity – 3-5 days. 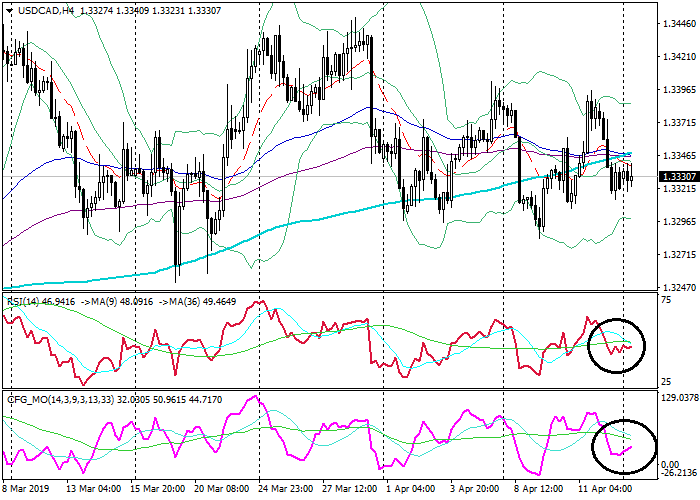 Long positions can be opened from the level of 1.3450 with the target at 1.3570 and stop-loss at 1.3400. Validity – 3-5 days.